Common fault solving method of filling peristaltic pump-Peristaltic pump,dispensing peristaltic pump,programmable peristaltic pump manufacturer - Chuangrui precision pump Co., Ltd. Filling peristaltic pump in the normal production process after running encountered problems can be quickly ruled out, to solve the problem, to avoid affecting the normal operation, there will be important economic significance. 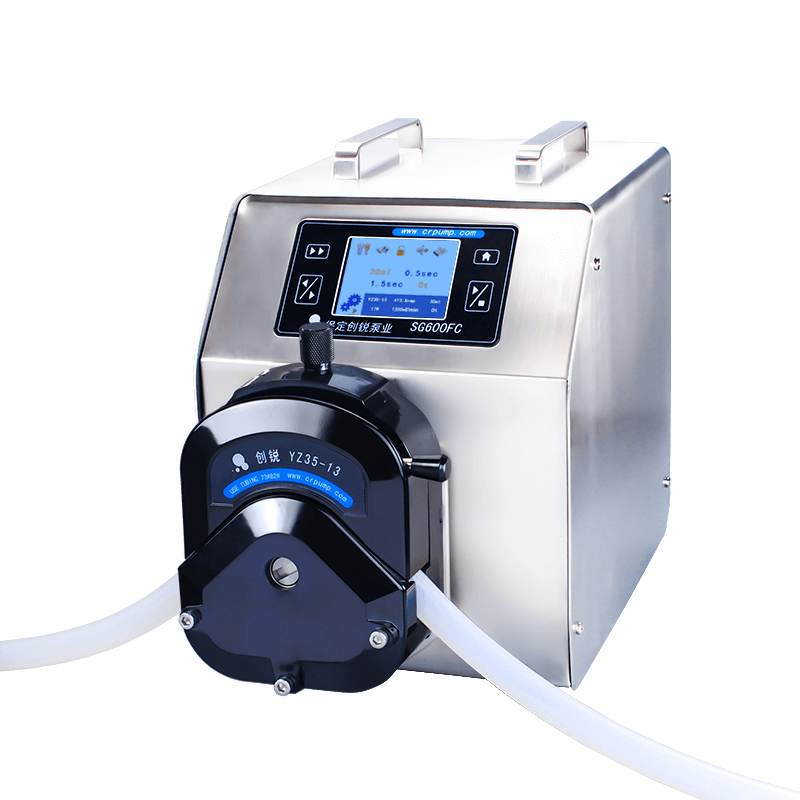 According to the filling peristaltic pump in the daily use of some of the problems often encountered, gives a few common problems of failure and the corresponding solution. When filling large size, chute feeding insufficient, causing the liquid level is unstable, can increase the feeding amount or re-off small filling head above the ball valve, re-set the filling time (longer filling time) slow down the filling speed to solve. Then turn off the power to power again. There is debris clog the filling channel, mainly in the trough entrance or in the filling mouth, check and clean up. 1, filling material nozzle orifice is damaged, can be removed filling material nozzle trimming orifice. 2, filling head ball valve damage, need to replace the ball valve. Note material Switch is damaged or time relay base is loose, replace the same type of note material switch or press tight time relay base.